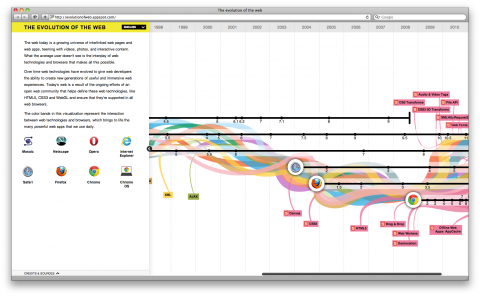 My friends over at Hyperakt just launched a new interactive project illustrating The Evolution of the Web. Each browser’s evolution is illustrated with screen captures of their various versions and many technologies are each linked to extensive definitions, all available in six languages. Quite amusing to go down (browser) memory lane! It’s truly very difficult in this active life to listen news on TV, thus I just use world wide web for that reason, and take the hottest information.